I am the wife and primary caregiver to a traumatic brain injury survivor. 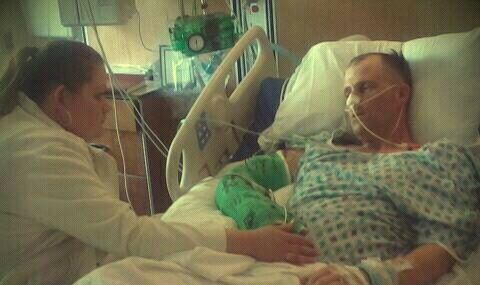 My husband and I had been married for nearly 10 years at the time of his accident. We have one daughter that was 12 at the time of the injuries. I believe that through all of this God will use me to help others. The pictures that will be posted are all from before the accident or about 2 weeks after the accident and to current dates. This is out of respect to my husband because of the swelling and bruising prior to that point they would be too gruesome. I WANT TO HEAR FROM YOU! Please feel free to reply or email me with questions or comments you may have. I especially want to be a resource if there is a particular difficulty you are facing related to TBI or to being a caregiver. Do not think any question is stupid or irrelevant. You are very insightful. I am glad you decided to do this Blog not only to vent your feelings and dispell your lonliness, but thier are so many out there that are going through the same thing and it helps them to see thier not alone and thru your positive eyes; and Spread god’s love. I am so sorry for what you are going through, but so glad I found your blog. In December, 2011, my husband got sick resulting in an ABI. His neurologist is treating him as though he had a TBI because it is presenting the same way. This is an extremely difficult journey and it is nice to not feel so alone. I am so glad our paths have crossed! It was amazing to me how many various medical conditions can result in brain injury!